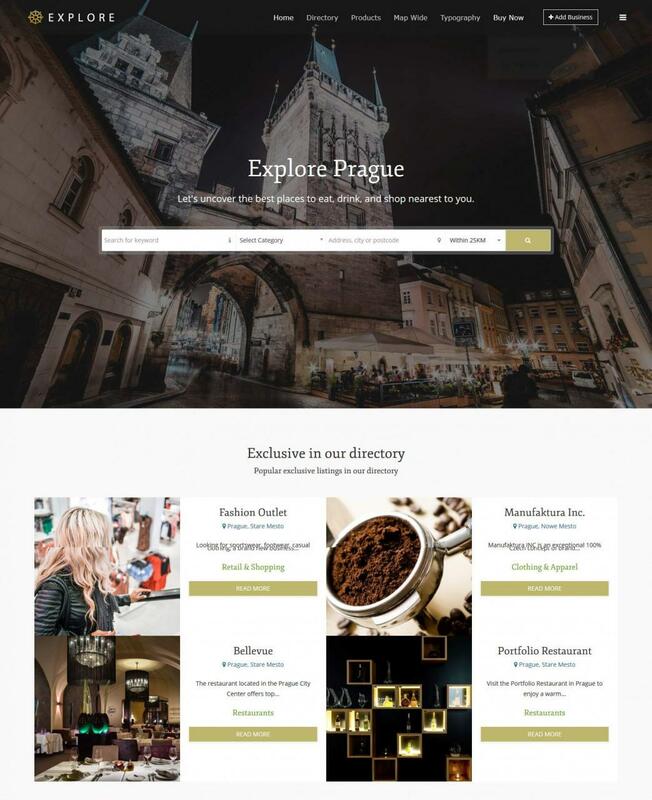 Today we're happy to annouce a new release of the CItyGuide Joomla Travel and Turism template from our great partner JoomlaShine! If you are looking for an elegant design with business theme Joomla template JSN Mini 2 could be an ideal choice for you. However, JSN Mini 2 now comes with a specific design that will make any tourism and travel business have to consider: CityGuide, the name says it all about its function. It can be a perfect tool for your tourism project, make your website an indispensable for any travel-lover. All of it can be achieved thanks to JomDirectory extension. The Explore template brings an ultra-modern user experience to your JomDirectory-powered business directory or product catalog. With a responsive layout powered by UIKIT, users can easily access your directory from mobile, tablet, laptop or desktop and designers will love how easy it is to customize and implement an engaging experience across all devices and customiser, an easy-to-use css editor makes it easier than ever to extend your site's styling with your preferred look and feel. And fixed and overflow headers allow users to scroll down the page while still providing access to the site's main menu. Working under shorter contracts, with multiple employers. This trend is projected to grow stronger as automation erodes more and more jobs traditionally done by humans. But the rise of the ‘gig economy’ also presents a new opportunity: the creation of marketplaces to connect freelancers and employers. 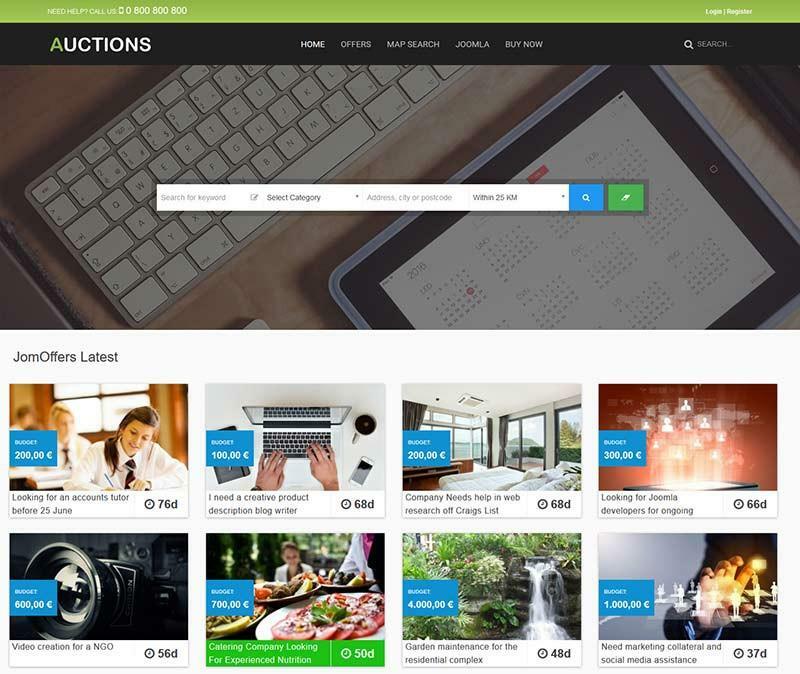 Our new Auctions template for Joomla is designed to make building such sites a snap. Spring is right around the corner, making this a great time for vacations, holiday tours and leisurely escapades to the world’s most exotic locations. This time of the year is a free buffet for hotels and holiday resorts, which shall profit from the increasingly large number of tourists that flock to the world’s famous attractions looking for pleasure, relaxation and inspiration. This month we are introducing a gorgeous Joomla Real Estate Template with an innovativedesign. Its layout is clean and streamlined, offering a superb browsing experience for all users. 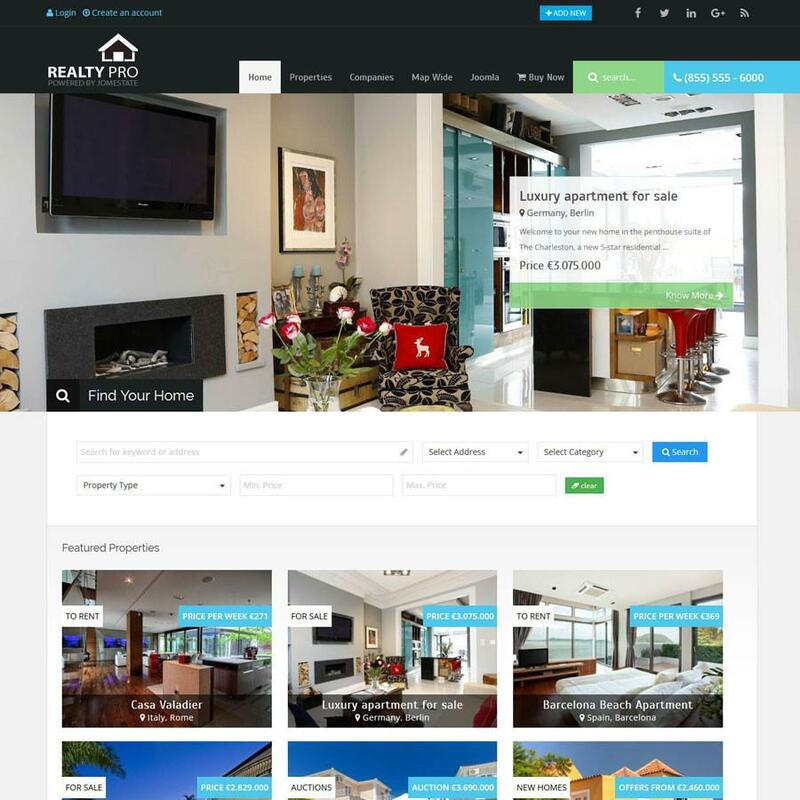 If your next project involves development of a real estate website then we have a perfect template for you. Change your Joomla directory template now! And here is why. What is that one thing that irks any visitor who is trying to find a listing on a directory site? Going through ONLY alphabetical listings to find their required service. Who has the time in today’s day and age to go page by page through listings? Visitors need smart solutions that are intuitive and take them to their intended service with minimal manual intervention. This where MyDirectory can help! Comdev brings its brand new Joomla Template for directory listings – MyDirectory. It is a robust multipurpose template that can change the look and feel of your website, but what is more important is that it can revamp how users search your listings. They are provided with an interface that is easy to navigate and reduces search time drastically. Traditional listing templates will give you Maps view and a listing view, but MyDirectory combines the experience of Maps and listings such that users can quickly see where their favourite listing is based. Make your decisions quicker as you get to see pins for different listings in one glance! Unique pins on the map represent different listings. When you click MYLOCATION, your location is tracked. You can now select the services or listings you are looking for closest to your location. It is as simple as that!! No longer typing in unique keywords to locate listings close to you. This view is a part of the new layout for the Ajax Map Search Module and is available as Paid module with the template. Were you planning to start a Travel portal? After the ground work of creating a website is completed, the only thing that remains is making the site look appealing. For users to get engaged with your website, the layout and color palette of your site needs to be classy and sophisticated. 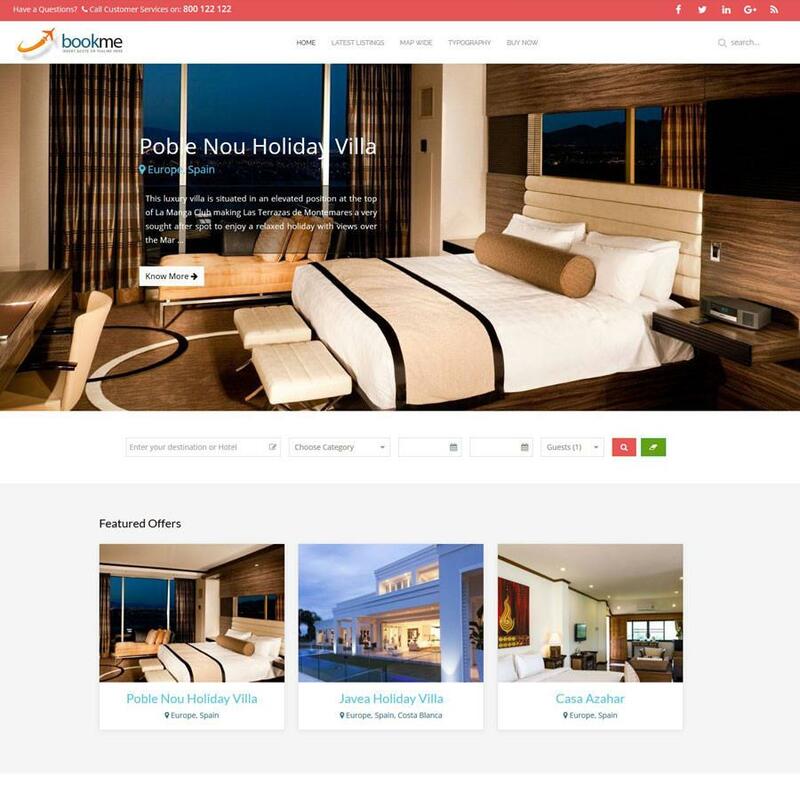 Comdev brings Travellist Joomla Booking template. Why should you go for Travellist? Travellist was developed after research that involved understanding the optimum layouts that ensure the user stays on the site longer. Looking for a Business Directory, responsive, bootstrap-based template? Then look no further! Meet Business Pages - directory template for Joomla that includes all the design aesthetics you’ve come to expect from us. Built on a brand-new version of Warp 7 theme framework that offers lighting fast rendering and multiple configuration options. We have re-designed our flag extension JomDirectory to get you stunning Directory Website based on Business Pages Template and Directory extension - JomDirectory. These two works with great harmony to get you 100% complete working site! Estate Guide is the ideal template for real estate companies and estate agents. The modular build lets you set up a layout for a single company site or a large property portal. This template can be used with our popular JomEstate extension to cover everything needed in a real estate website with any other components or modules. This multi function template comes with a color variations to allow for customisation. Estate Guide has been build with latest mobile standards and it is responsive ready!